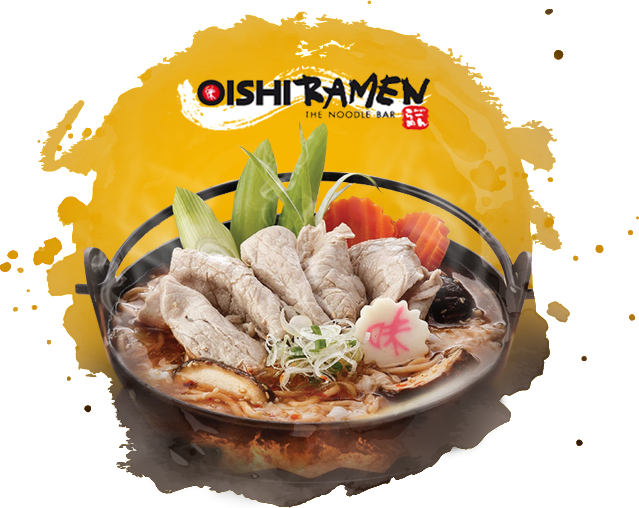 Oishi Ramen, original ramen, tasty noodles … tasty soup. We quickly serve you a bowl full of nutrition. Our noodles are superb as they are perfectly kneaded, folded, rolled and cut by our machine. Also, our soup is cooked for more than 8 hours in order to make 4 different kinds of soup including clear soup, thick soup, spicy soup, and miso soup according to the original recipes. The original Japanese ramen is offered here, for instance, Oishi Ramen (which has been served for more than 1,000,000 bowls), Tempura Ramen, Roast Pork Ramen and Buta Suki Nabe Ramen. Furthermore, Thai-style Ramen is served, for example, Tom Yum Ramen, Spicy Fried Seafood/Pork Ramen with Basil, Stir Fried Clams Ramen with Chilli Paste, and Crispy Basil Ramen. Moreover, the original Japanese appetizers are provided, such as Gyoza, Shrimp Tempura, and Takoyaki. 6th Floor, Room No.4CR416/1, 97/11 Big C Rajdamri, Rajdamri Rd., Lumpini, Pathumwan, Bangkok. Open : 10:00 – 21:00 น.